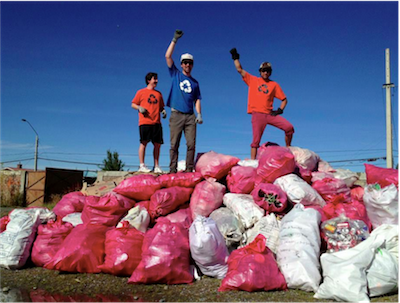 Volunteering is a great way to discover Patagonia, while also making a positive difference to the area. From 3 weeks to 6 months, you can contribute to a huge range of local projects, including building a national park and tutoring local children and teenagers. Swoop Patagonia have extensive experience of working with local companies in the area and are committed to help find you an unforgettable experience that will make a valuable contribution to the community. What impact are Travellers having on Torres del Paine National Park? Since 1985, the park has suffered three major forest fires, affecting over one fifth of the park’s 242,000 hectares; sadly, each of these has been started by travellers. Growth in visitation has increased foot traffic along the iconic W and Circuit treks to the point where the limited trail system is in need of repair, yet the ability to do so lacks both financial and human resources. 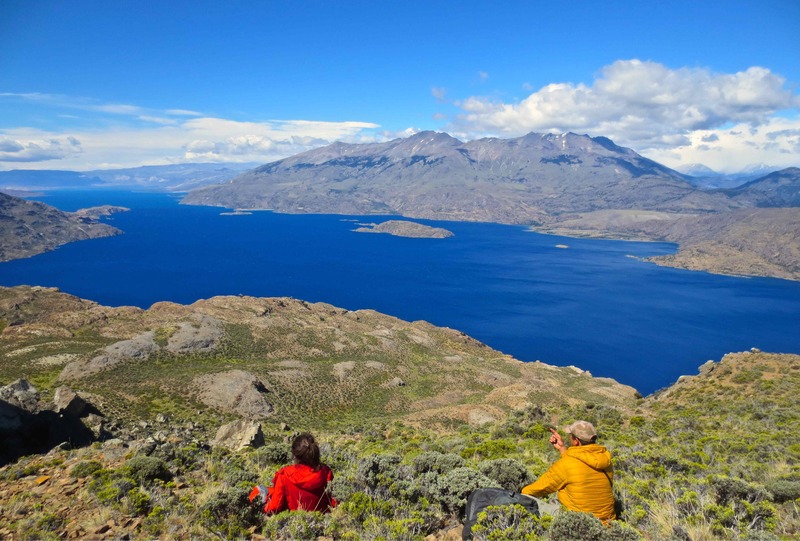 There are numerous, ongoing efforts to restore the health of Torres del Paine National Park, but with such a massive geographical area and increased strain on resources, it is a long and slow process. 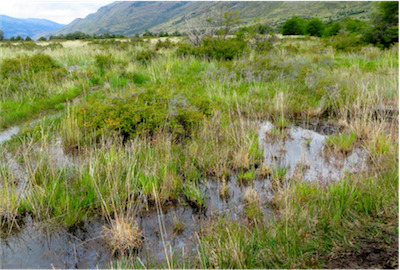 It is because of this shortfall of support that the Torres del Paine Legacy Fund was born. What does the Torres del Paine Legacy Fund do? 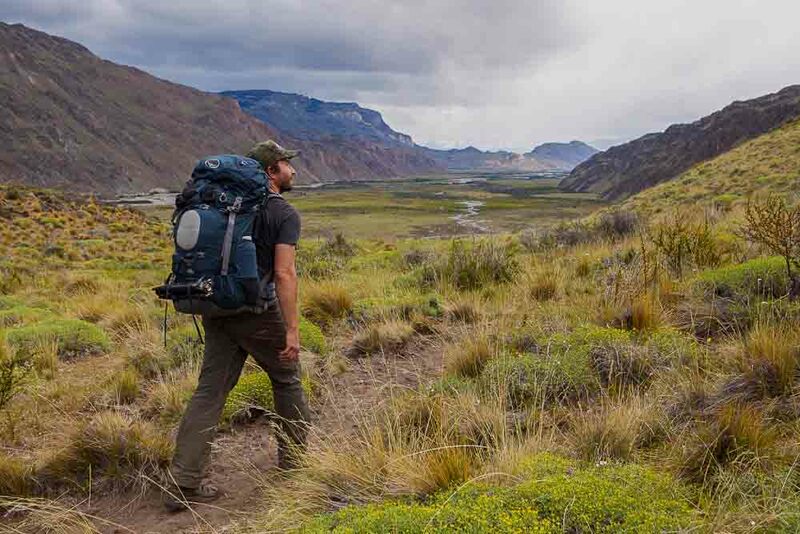 Through traveler-supported sustainability initiatives, the Torres del Paine Legacy Fund enables visitors to become a positive economic and ecological force in the park and in the region through responsible behaviours and direct contributions to enhancement projects. The Fund’s mission is to enhance the experience and long-term health of Torres del Paine and its surrounding communities as tourist destinations through sustainability projects that are supported by travellers and local businesses. In partnership with local private and public leaders in Última Esperanza and international NGO, Sustainable Travel International, the Fund is a platform for residents in the community to propose projects that enhance the destination, such as reforestation, trail restoration, and waste management. We welcome you to join us in this mission. 100% of all donations made will go directly to sustainability initiatives, so you can trust that your generosity will have a direct, indirect, and induced positive impact on the legacy of this destination long after your stay. Here’s how to Donate, please do mention Swoop Patagonia in the ‘how did you hear about us’ section. 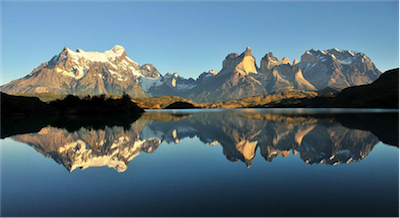 This entry was posted in Things to do, Torres del Paine, Volunteering and tagged CONSERVATION, Torres_del_Paine, volunteering on 2nd March 2015 by Luke Errington. We’ve had lots of people ask us recently about volunteering in Patagonia and we haven’t been able to offer as many opportunities as we’d like to. However this message arrived yesterday from Paula at Conservacion Patagonica and I wanted to share it with as many people as possible. I was lucky enough to visit the future Patagonia National Park when I was touring Aisen in November last year. It’s an absolutely beautiful location and you can already see the benefits of all the hard work that has gone in there. Want to contribute sweat and muscle to the creation of a future national park? Think that building trails, collecting seeds, practicing a second language, and baking backcountry bread sounds like a good vacation? Willing to get hailed on, hike hills, pull thistle and make new friends, all in the name of saving and restoring this spectacular landscape? We’re accepting applications now for our volunteer program for the 2013 – 2014 summer season. The program will run in five three-week sessions, from early November through late March, with eight participants per group. Young and old, from Chile to China– all those who are fit, game, comfortable in Spanish and English, and willing to live and work in the backcountry of the future park are encouraged to apply! Applications are due by June 1, 2013. If you’re interested in applying, please read more here. They are also looking to hire a field leader for the volunteer program; see job description here. And if the program’s not for you (or if you’ve participated already but can’t make it back), please spread the word to anyone you think might enjoy this experience. This entry was posted in Volunteering and tagged aysen, chile, volunteering on 23rd April 2013 by Luke Errington. Alain volunteered with Conservacion Patagonia from 8th October 2011 til 6th November 2011, which is the beginning of spring in Patagonia. We asked him about his experience of volunteering and what he did to help make a difference. 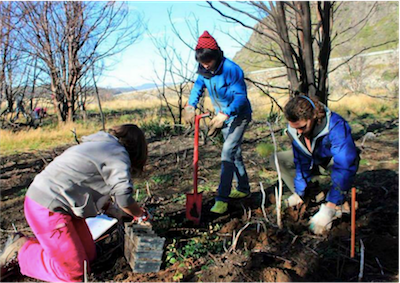 If volunteering is something you’d like to do, find out more about Volunteering in Patagonia. What made you want to volunteer in Patagonia? I heard of Conservacion Patagonica and their effort to create a National Park in the Chilean Patagonia through the documentary 180 Degrees South. I admire the conservation work done throughout the world to create and maintain wilderness areas and visit them regularly in my spare time. 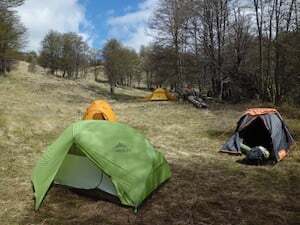 Unfortunately in most places we tend to be just users, but Conservacion Patagonica lets you take part in the creation stage of a national park and exposes you first hand to all the hard work and complex social and logistical challenges that must be overcome in such an ambitious project. It being set in beautiful Patagonia is a nice plus. I had also heard you could drink the water from the local streams without needing any purification and I had to see it to believe it. Any place left on earth where that is still true was a place I had to experience, and it was certainly true. CP does a superb job of preparing future volunteers for what they are to expect, what to bring, how to get there, etc. Besides that, web travel forums were a crucial source of opinions and suggestions from fellow travelers and volunteers. Was the cost an issue for you? I was backpacking for a few months throughout South America so cost was definitely an issue. CP charges volunteers US $20 per day, which goes towards your food, utilities, in-park transportation, etc. I wanted to make sure it felt like a volunteer opportunity and not just a paid work-cation, but after being in Chile for a while and seeing the logistics they take care of for the volunteers this definitely seemed reasonable. What made you choose CP and would you recommend them now? See above for the answer to the first part of the question. I would definitely recommend CP without hesitation, as it provides a deeply memorable combination of hard work with tangible progress, stunning natural scenery, and unforgettable interactions with the locals that are collaborating along the foreigners as one big family. 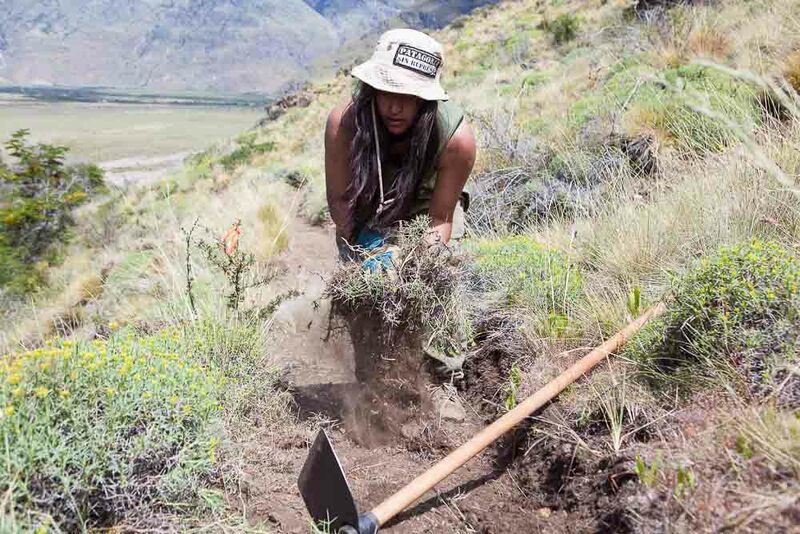 However I would make it clear to potential volunteers that the work is physically strenuous, many times tedious and frustrating, and in the highly volatile Patagonian climate. It’s important to want to be there and to understand why you are there. What were the other volunteers like, many foreigners? During my stay of one month I saw three different groups of volunteers rotate through, most of which were foreigners and evenly composed of Americans, Europeans and Australians. The volunteer corp is capped at ten at any one time plus the volunteer leader, whom is a season long intern at the park. The small group definitely makes it feel like a small family and you typically end up spending an entire month with those that arrive on the same weekend as you do. That said, during your work you get to interact closely with many other locals that are employed by the park to perform more permanent jobs, such as park rangers. What could have improved your experience? Staying longer! Valle Chacabuco is a place where time slows down and life becomes beautifully simple. I definitely wish I could have stayed longer. They wanted me to but I was due back home, alas! I can’t recommend any stronger to learn at least basic conversational Spanish before you head in, as this will significantly enrich your experience and level of immersion. The locals are eager to talk to you and share their experiences and knowledge if only you can listen. Do you feel like you made a difference? move through. Besides the difference towards the park effort, the experience lends itself to endless hours of meditation and thought. There just isn’t much else to do but to perform manual work, hike, read and think! Would you ever go back to Patagonia and volunteer again? Carretera Austral. People are genuinely interested in you as a foreigner and not just to take your money, and are eager to ensure you have a memorable experience while in their land, of which they are very proud. While moving around the area you can’t help but constantly think ‘I would like to camp there, kayak down that river, hike up that slope, explore that ice field, etc.’ Patagonia really is that beautiful and inspiring. 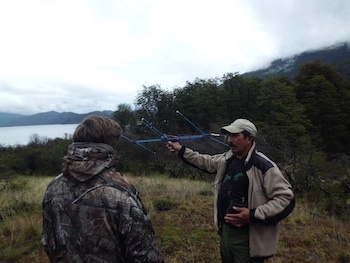 This entry was posted in Volunteering and tagged aysen, Conservacion_Patagonia, patagonia, volunteering on 21st March 2012 by Charlotte Brown.